ProCart is a versatile utility cart. Hinged side gates allow the cart to convert from a flat top to a box top on the fly. Structural foam plastic construction is dent-resistant and rustproof. 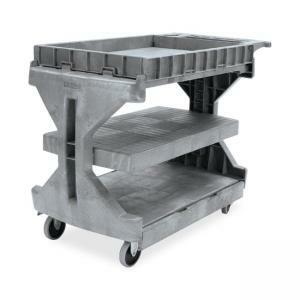 Utility cart holds up to 400 lb. weight. Storage bins are sold separately.